The end of life is simply that – the end. With Simply Cremation, the time following a death can be simple too. When that time comes, cremation is an extremely personal decision made by either the deceased and his or her loved ones. 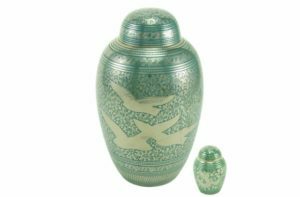 Reasons for choosing cremation are many and varied. A common motivation is that cremation allows for memorial services to be held at a later date or in a distant location. Many believe that cremation provides more flexibility regarding honoring a deceased loved one in a more personal manner, such as planting a memorial tree or scattering the ashes in a meaningful location. Another reason is that because cremation does not involve embalming chemicals or taking up cemetery space, it is a more affordable and environmentally friendly alternative. And perhaps one of the most important reasons to elect cremation is a desire to respect the wishes of your deceased loved one. If we could add just one more thing to this list, it would be Simplicity. With Simply Cremation, we treat your loved one with the utmost respect and dignity. Our licensed and professional staff takes care of everything from transporting the body from the place of death to returning the cremated remains of your loved one to you. We file all required permits and authorizations. We notify Social Security, and we perform the cremation at a licensed crematorium. And your loved one’s obituary is posted on our website for sharing with relatives and friends. The entire process is simple, dignified, and affordable. Our caring staff understands that grieving is an extremely personal process. By selecting Simply Cremation, loved ones can simply move on. Additional services are available but not required or necessary, simplifying the circumstances for loved ones left behind. The end of life is simply that – the end. With Simply Cremations, the time following a death can be simple too. When that time comes, simply call 616-455-6838; we are available 24 hours a day.